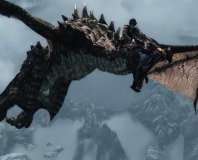 Riding dragons will be possible in Skyrim's next expansion which is due for an early December release. Bethesda's latest opus is as great as it is huge. 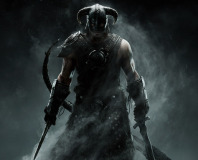 We don our dragon slaying boots and enter Skyrim. 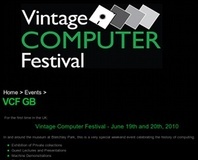 The National Museum of Computing is set to become the venue for the first British Vintage Computer Festival for two days in June. 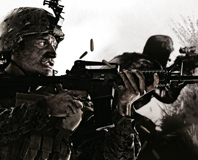 With Bohemia no longer at the helm, can Codemasters still deliver a multiplatform mil-sim that will keep PC gamers happy, or is Operation Flashpoint: Dragon Rising worthy of little more than a court martial and a firing squad? We ask; War, eh? What's it good for? We've got the winners for the Enermax competition to win an AMD Dragon PC, and other Enermax goodies! Enermax wants UK readers to take part in a simple survey about its new website, and in exchange get a chance to win a PC! Project Offset, the upcoming FPS/RPG from Team Offset, has just had its first gameplay trailer released. It. Looks. Gorgeous. Updated! Intel has invited four of bit-tech's top modders to come and talk to Chinese media to bring another country into the light of modding. Vadim's Cepheus Q80 is the ultimate customised rig that you can buy off the shelf. It's looks, build quality and personalisation comes at an eye watering price, but does it offer enough to hold its value? DreamHack Winter has rolled around again and GoTaLL (aka Micke Gustafsson) has been working overtime to finish up a bunch of new mods to take to the show. Check out the cases here then head over and see the detailed worklogs in the forums.